Inequity • Inclusion of three women heralded as effort to involve females in governance. 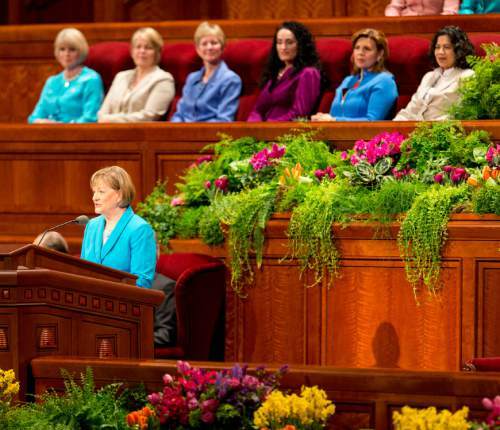 Mormons across the globe Wednesday praised LDS leaders for adding the faith&apos;s top female officers to three high-level councils, calling the historic move a moment to savor. "This allows women to join their brothers  and to include their perspective, talents, spiritual gifts and leadership abilities  in church governance," said Suzette Smith, a Mormon feminist in the Washington, D.C., area. "A real positive. Decisions like this make me feel valued and heard." Indeed, installing Linda K. Burton, head of the adult women&apos;s Relief Society, on the Priesthood and Family Executive Council, Bonnie L. Oscarson, who leads the church&apos;s program for teenage girls known as Young Women, on the Missionary Executive Council, and Rosemary M. Wixom, president of the Primary for children ages 11 and under, on the Temple and Family History Executive Council could have far-reaching consequences in a denomination led exclusively by men. When asked whether women are members of other key committees in The Church of Jesus Christ of Latter-day Saints, spokeswoman Kristen Howey said, "there are literally dozens of church committees. Women serve on many of them but we have no way of knowing that number without counting each of them." The three principal, formerly male-only councils helping to run the 15 million-member faith, include "four or five [male] general authorities," Howey said, plus the new female officers. These three committees "are immensely important in deciding how budgets are delegated, how programs and products are prioritized, and how church business moves forward," explained Neylan McBaine, author of "Women at Church: Magnifying LDS Women&apos;s Local Impact." Having Burton, Oscarson and Wixom on these councils, McBaine said, "means that, even though still small in representation, women&apos;s interests and perspectives are going to start being interwoven into administrative decisions that affect the whole organization  not just specialties traditionally under women&apos;s purview. " 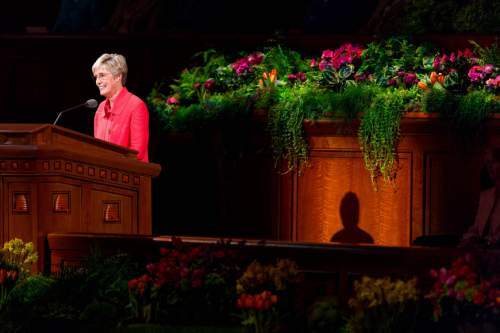 In a statement Wednesday, Mormonism&apos;s governing three-man First Presidency, welcomed the women to the table. "We are confident that the wisdom and judgment of these general auxiliary presidents will provide a valuable dimension to the important work accomplished by these councils," LDS Church President Thomas S. Monson, first counselor Henry B. Eyring and second counselor Dieter F. Uchtdorf wrote in a letter to Mormon general authorities and general auxiliary presidencies. 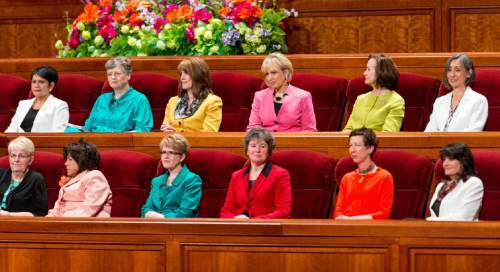 Despite the enthusiasm, some Latter-day Saints are looking for further steps toward equity. 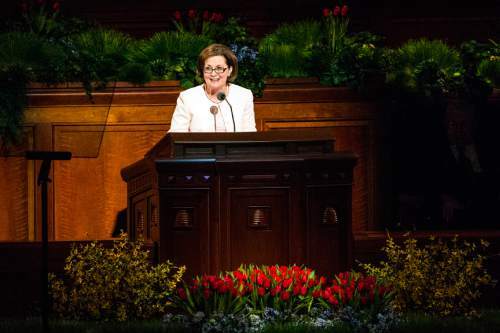 "It should go without saying that listening to women is a good thing," wrote Julie M. Smith on the Mormon blog Times and Seasons. "However, the model of listening to women conveys  intentionally or otherwise  that men are still making all of the decisions. It would be nice if we could eventually move beyond that to a model where women shared in decision-making." Angela Clayton, a Scottsdale, Ariz., Latter-day Saint who blogs at Wheat & Tares, said the development "signals to local leadership councils the need to include women in decision-making bodies." There will continue to be "moves toward teaching both men and women how to work together and how to listen to one another in council," Clayton wrote. 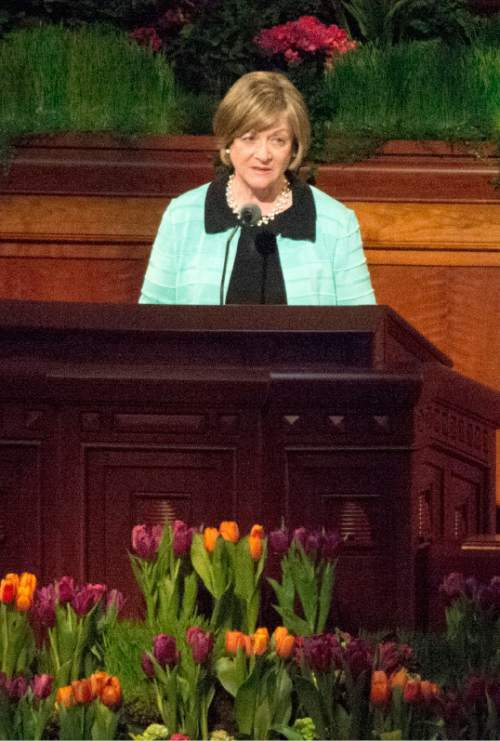 "There are many stakes and wards [LDS congregations] in which both sexes sit in decision-making councils together, but there are other wards and stakes in which women are only nominally included to the minimum required by the handbook. This move makes it clear that church leadership expects more input from women on decisions that affect the direction of the church." Mica McGriggs, a doctoral candidate at LDS Church-owned Brigham Young University, celebrated the drive to add the three women&apos;s voices at high levels, but noted their collective perspective is "the voice of American white suburban middle-class women, and is not representative of the church&apos;s global population." The one African woman who has been on Oscarson&apos;s general Young Women board, Dorah Mkhabela  who was the first black woman to offer a prayer at the women&apos;s session of LDS General Conference  is now off the board due to another assignment and has not been replaced. McGriggs, who is biracial, hopes LDS leaders will add to such councils "more international voices and women of color to get some variety and diversity in these meetings." Utahn Tamu Smith, co-author of "Diary of Two Mad Black Mormons," agreed. "While I&apos;m pleased about what I see taking place for women, at a glance it looks like more of the same," she said. "Personally, I hope to see more diversity, especially diversity of thought." But Smith is optimistic about her church as it makes the effort to be "more inclusive and more transparent." She&apos;s grateful, she said, "to stand as a witness that the gospel lives and that is why we can and will continue to evolve." The lively author and speaker does not believe Oscarson, with whom she has interacted, will be easily dominated. "Blindly following anyone," Smith said, "is not in her DNA."